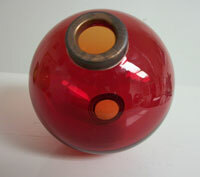 WE HAVE THESE IN STOCK.THEY WILL SHIP IN TWO DAYS. 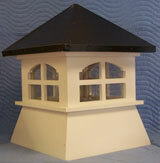 VARIOUS ROOF STYLE VINYL CUPOLAS 18''X 18'' X28'' HIGH. 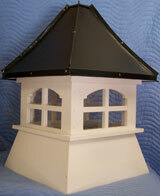 Very high quality vinyl SHED cupola.Standard BLACK ALUMINUM roof. Very high quality vinyl SHED cupola.PAGODA ALUMINUM roof. 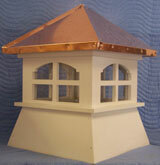 Very high quality vinyl SHED cupola.Standard COPPER roof. WEATHERVANE SOLD SEPAREATELY. CLICK HERE TO ORDER ONE.